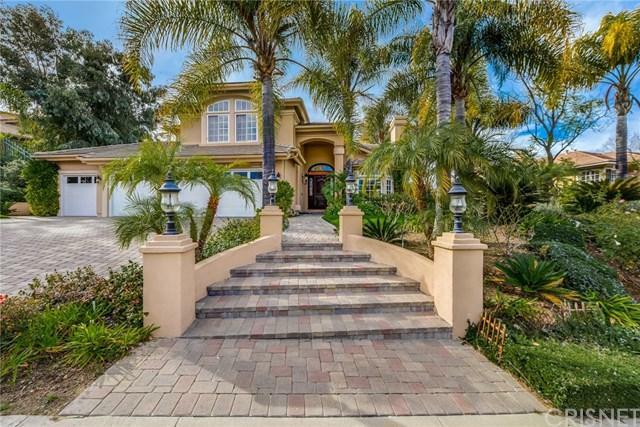 Sought after Silver Hawk Ridge with extraordinary guest house! Nestled between the lush fairways of El Caballero & Braemar, lies this guard gated community where dancing waters & spectacular entrance welcome you into a world of secure luxury. Day or night, an officer stands guard to ensure peace of mind. Lush Landscape & 4-car garage create a powerful first impression. 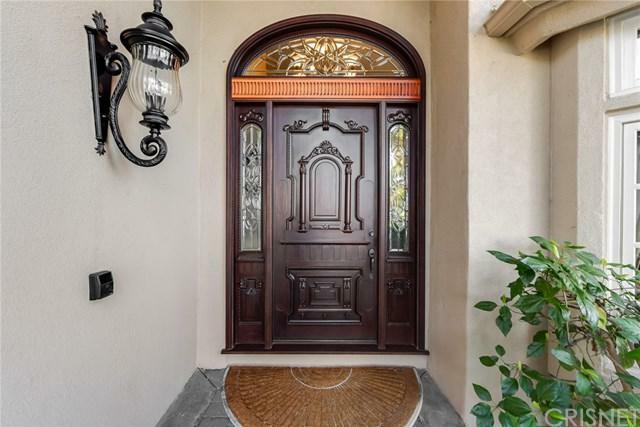 When the prior owner's business is fine doors, moldings & floors, one can only expect exquisite upgrades within. Through the distinct entry door, high ceilings & spicy Brazilian Cherrywood floors ignite a thirst for more. Living Room with fireplace leads to spacious formal dining boasting exquisite coffered ceilings. Light & bright kitchen, opening to the family room, features a center island, granite counters & quality appliances. Convenient downstairs bedroom. Your master retreat offers a romantic fireplace, luxurious bath, walk-in & serene visions of surrounding foliage & majestic mountains. Desirable Jack & Jill bedrooms. Outside, you'll discover your very own tropical paradise. Superb covered dining/relaxation arena, gorgeous landscape & a spectacular beach entry pebble-tech pool, spa & grotto enriched by the hypnotic sounds of the water's flow as it cascades down this incredible rock waterfall. A daily vacation in the backyard of your dreams. Separate 874 sf structure offering a wet-bar, gorgeous bath & large walk-in makes an incredible game room, studio, office or sensational living quarters. Must see!